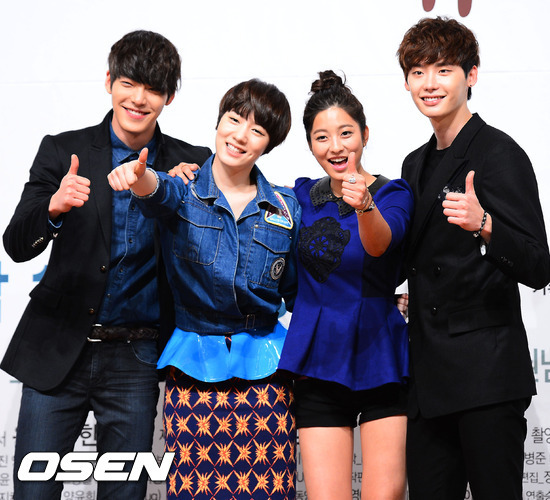 School 2013 is the fifth installment of the School series produced by KBS and it’s been 10 years since School 4 ended. That was a long time ago and throughout the 4 seasons of the series, many actors and actresses had ‘graduated’ and became famous thanks to their roles in School. The reason why I’m so excited for this one? I just can’t stop grinning. I mean, I was excited to know that Jang Na-Ra and Daniel Choi will be starring in the drama together again,after Baby Faced Beauty. But to see them at the press conference is just pure bliss.I’ve never shipped teachers so hard like this, so can the drama please make them end up together, although they’re teachers? Well, teachers can have a happy ending too, right? 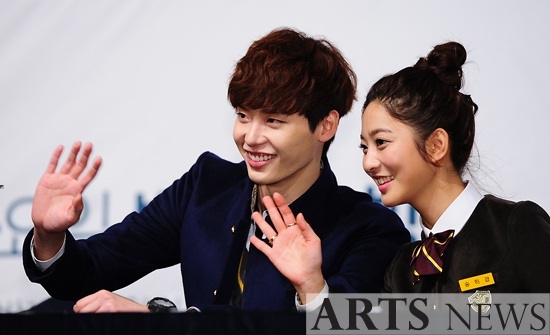 Not to forget the student pairing, Lee Jong-Suk and Park Se-Young. Together with Jong-Suk and Se-Young, Kim Woo-Bin and 5dolls’ Hyo-Young round up the main cast for the students, while Park Hae-mi and Yoon Joo-Sang will join Na-Ra and Daniel as the teachers. If you’re still not clear about the story, check out these teasers and previews. School 2013 takes over Monday-Tuesday drama slot on KBS2 replacing Ohlala Couple. Since I’m into light and fluffy dramas these days, a drama about school might be a good choice. Looking forward to next Monday! So excited, even though I never watched the older series. So many cutie-pies, as you said!